We arrived to the rumours of it being the best weeks of the season ahead with the arrival of a foot of snow followed by a forecast of a week of blue skies. After a couple of weeks of web-cam watching and hearing all the news about the poor snow conditions, I was less than enthused, however we arrived to find that what everyone had been saying all along this season, the snow was much better than we expected. 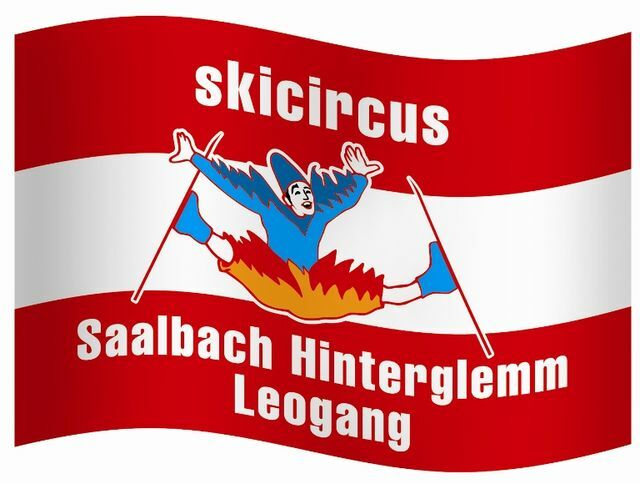 A good few years back I spent some time working in a small Austrian resort in the Ski Circus – where the linking lifts to Saalbach were mainly slow T-Bars operated by the farmers who owned the land. Many a time I had to make a call to the local taxi driver to get me home after finding that farmer Joe had packed up early!! But even then there were signs of innovation – it was one of the first areas to introduce the hands free keycard system for lift tickets, and most mountain restaurants provided hairdryers and glove and boot warmers. Something that’s yet to catch on in the rest of the world – why?!! Head to the "Ski Circus" for a bit of fun! 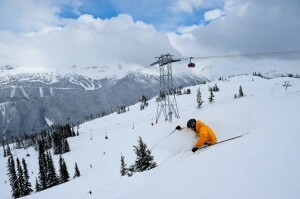 Where are you going skiing in 2011/12? This season is still in full swing, and with record levels of snow in Whistler, Mammoth and Colorado my feet are still itching to get some more turns in before packing away my boots. However, I’ve also been tempted by some of next season’s early booking offers available in both North America and Europe. The Fairmont Chateau Whistler and the Westin Resort and Spa in Whistler have a superb 50% off early booking deal, resulting in some of the best prices around. These are proving very popular with many clients having taken advantage already for next winter. I have to say that I’m pretty tempted to get my ski holiday booked early too! Some of the French properties are getting involved as well and have released their rates for 2011/12 – the earliest we’ve ever seen. We’re delighted to offer 10% off a range of luxury self catered properties including four in Tignes, a brand new property in Alpe d’Huez and a new property in the resort of Val Cenis, which is on the French/ Italian border and is a very exciting addition to our European menu. Self help & skiing?! Really?? Last week I had the unique opportunity to participate in the Diva Ski Week in Aspen Snowmass. Contrary to what it sounds, it’s not a week of ladies having “diva” moments on the slopes but in fact a woman’s only ski camp which combines on-hill instruction by the Aspen Team Diva and off-hill life coaching based around the Birkman Method. The aim of the Diva Ski Week is to get to the bottom of what allows each participant to perform at her best, whether she is facing a hike up Highland’s Bowl for the first time or taking on a new challenge at work…. Prior to departing the UK I received an email requesting me to fill a 30 minute survey and was assured that it was a survey of my opinions and there are no right or wrong answers… I have always been rather skeptical of life coaching and have always grouped it in the same bracket as wishy-washy self help books. Surely by answering a question one way, it means you’re totally normal and on the road to success but answering it another way, well that will almost certainly mean you need immediate help otherwise you’re doomed for a life of misery and loneliness… However at least maybe Aspen will be a nice place to find out that out! I recently hosted a reader trip with the Daily Mail Ski & Snowboard Magazine to Aspen and Telluride in Colorado. The trip was a huge success and with Henry Druce the Editor of the magazine and ex Olympic skier Martin Bell made it even better. At the approach to Squaw Valley the Olympic rings are proudly displayed alongside a plinth on which the eternal flame that epitomises sporting achievement permanently flickers. 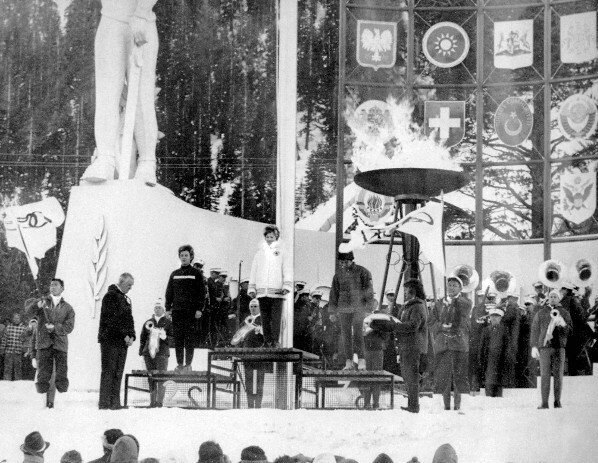 At first one could be forgiven for thinking that the Winter Olympics were a recent event here, but no fewer than thirteen Olympiads have come and gone since that flame was ignited for the 1960 games. There is a sense that Squaw Valley is living and trading on former glory, a feeling that is perpetuated with photographic displays of those games and the remnants of last year’s celebration of the 50th anniversary of the event. It is a rather odd phenomenon because Squaw Valley has plenty to recommend it today and there is surely no need to continue promoting the past when there is so much to enjoy in the present. 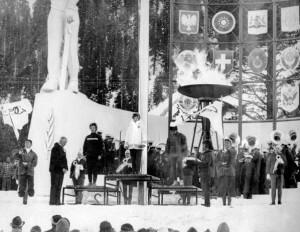 Canada's Anne Heggtveit (centre) celebrates her gold medal win in the slalom ski event at the 1960 Squaw Valley Olympics. Let’s start with access. Squaw Valley is one of a ring of ski resorts that surround Lake Tahoe, which lays half in Nevada, half in California; it is about six miles west of Tahoe City. An easy 45 minute journey from Reno airport in all but the most difficult of conditions (when it can take up to half an hour longer) the roads are good, well signed and kept open through the severest of winters. Of course that’s the last lap of a long journey from the UK, which for us involved a ten-hour flight to San Francisco, some marking time and then an hour flight on to Reno.